Good day, all. 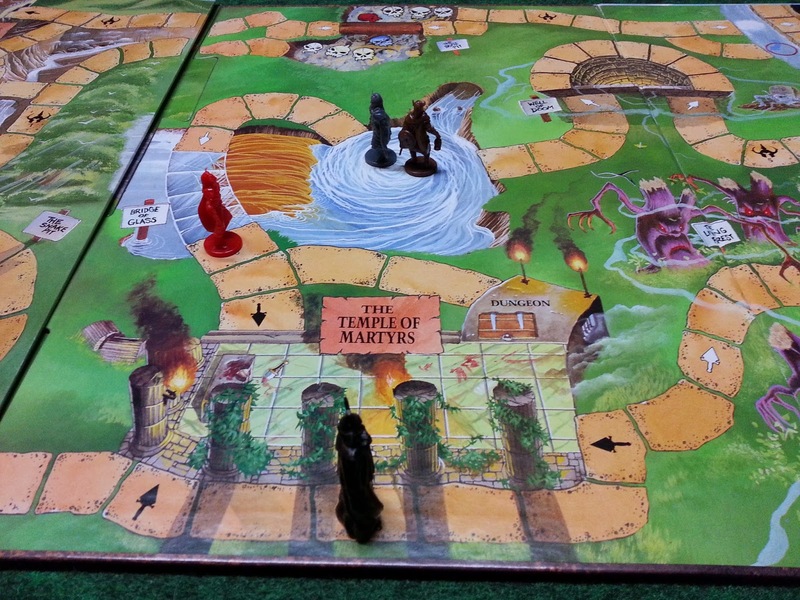 This is a quick AAR of the Secondhand Lion's play of Key to the Kingdom (KttK). As a bit of background, I try to host twice a month. 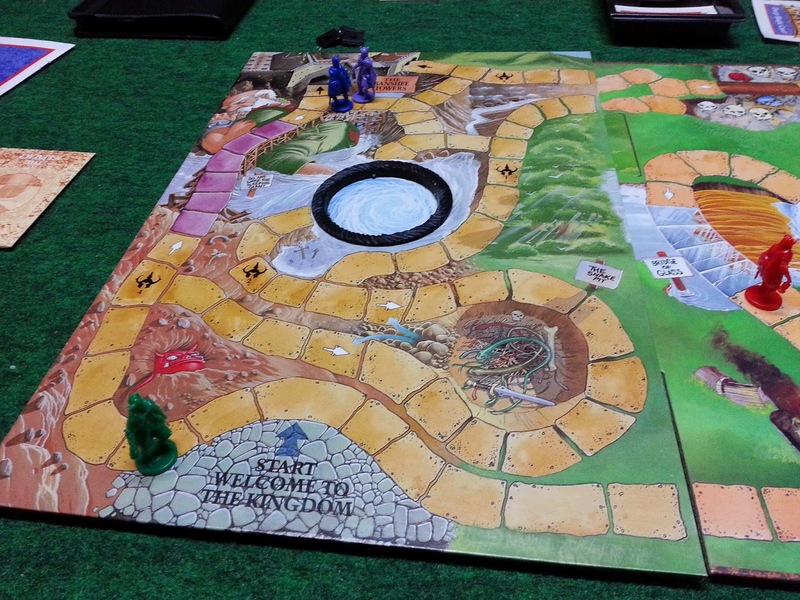 One time we feature as a 'board game' night, the other a 'miniatures' night. This night was of the former variety. 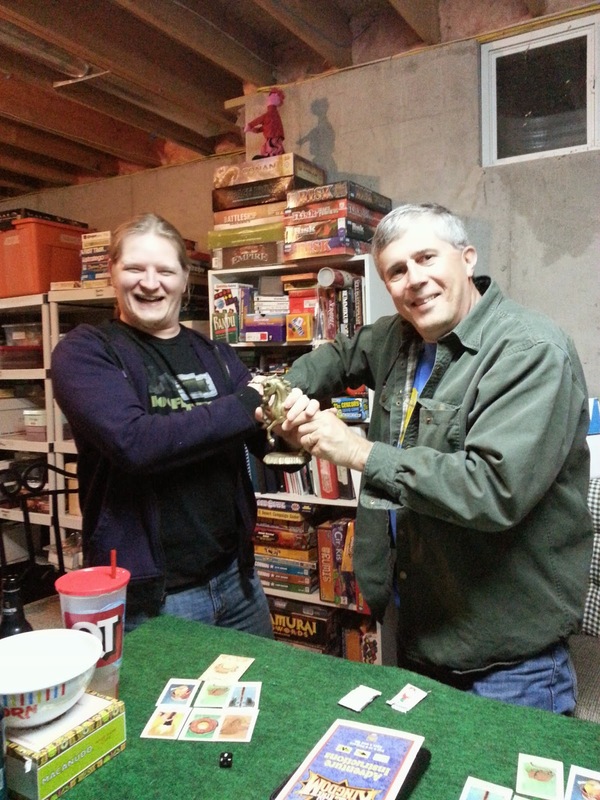 We had a full complement of six players, which proved to be an interesting, but long night of KttK. 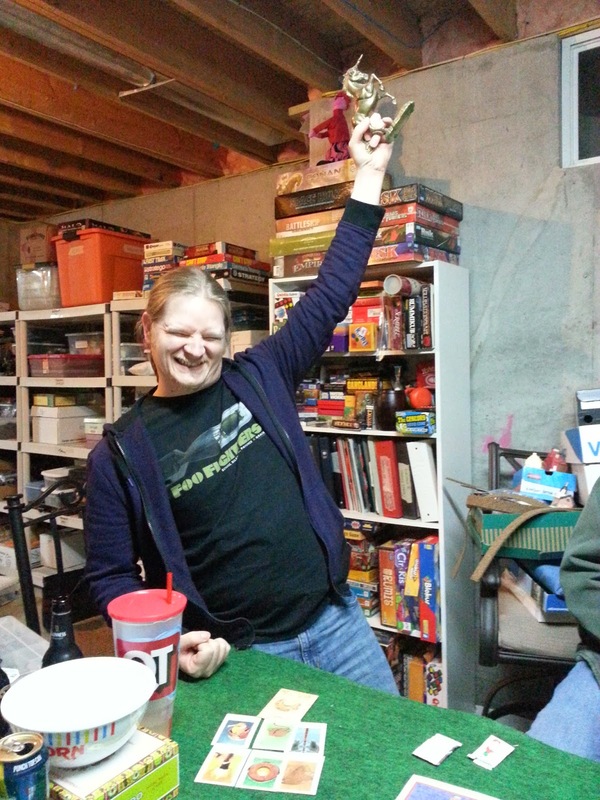 Kenny brought over the "dungeon-delving" prize: a brass unicorn! This traveling 'trophy' will surely be seen in later installments of our group's escipades! Long story short, there were moments of hilarity as characters failed their rolls in the most spectacular ways to prolong the game. What should have been an hour-long adventure turned into the entire evening. Eventually, Terry found the key. We decided that enough was enough and declared him the champion. ...who then showed his true champion's spirit.